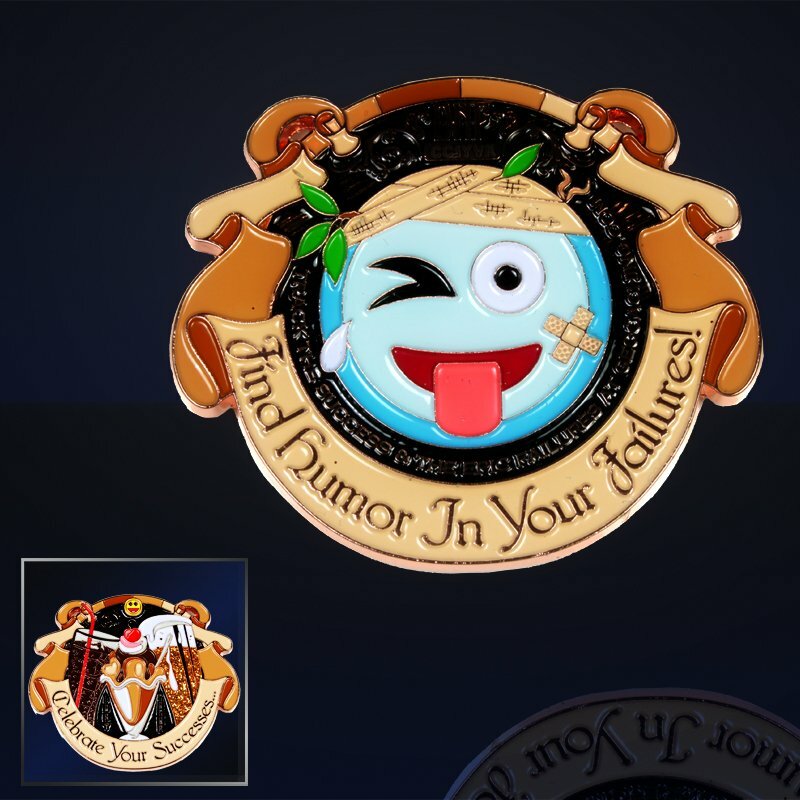 The October Geocoin Club is another great Chris Mackey design. 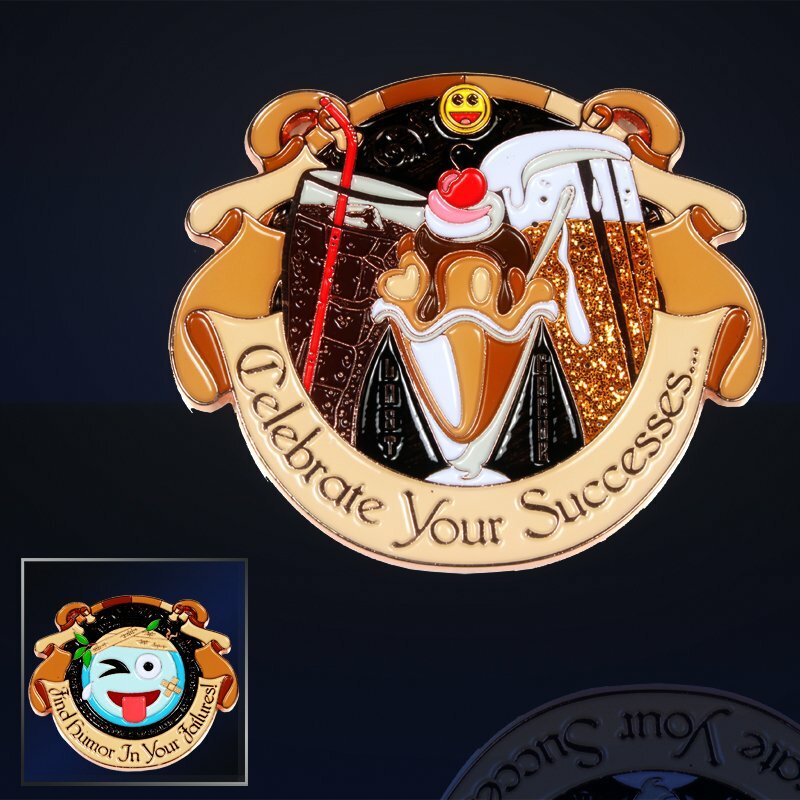 Celebrate Success... and Failure! People love their DNF stories! We all like the find, but the DNFs are just more memorable, get the best laughs and generally seem to truly amuse and entertain us. What started as a throwback to the Last Cache of the Day tribute became a tribute to not just enjoying success, but also celebrating those fantastically epic failures that we all love to reminisce about. So this became a coin celebrating the end of the hunt and the great memories that come of great effort regardless of the outcome. Sam Walton said it best when he said "Celebrate your successes. Find some humor in your failures."